Also known as the "chip-wrapper". 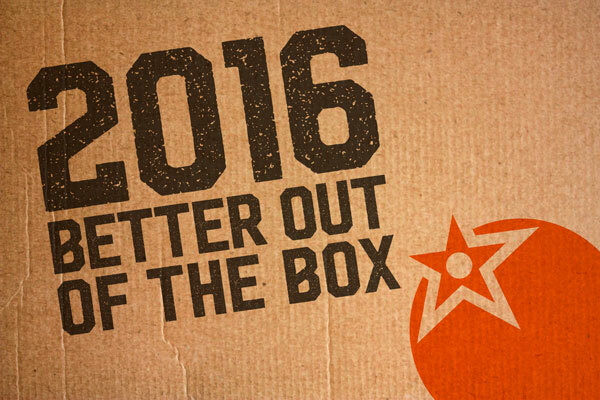 Some of the stories from 2015. That's right, Hot Neon Pink is back with a bang. 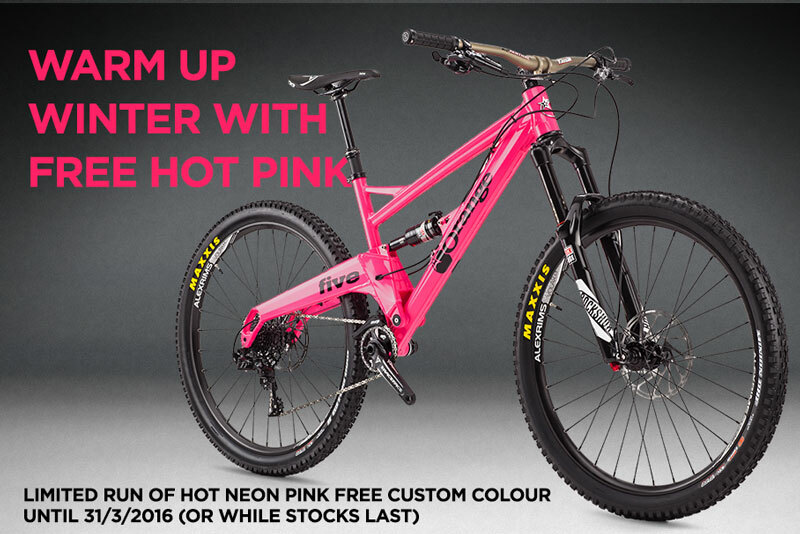 You've asked we've delivered (for a while at least) and what's more until 31st March 2016 (or while stocks last) we are offering a free custom colour upgrade to neon pink. 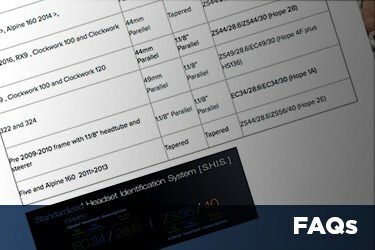 This applies to any model with custom colour options. 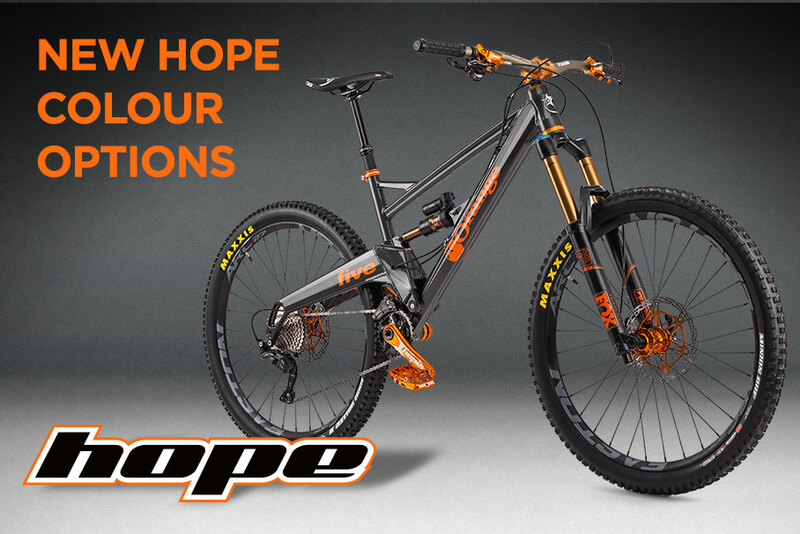 Our friends over at Hope Technology make some of the best bike components in the world and we are big fans. Recently they introduced a new orange colour in the line up, sure enough our phone started ringing with enquiries. 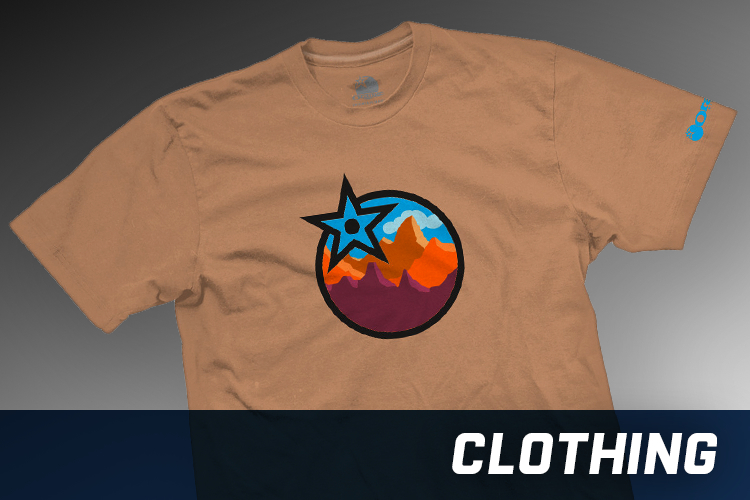 While we simply can't stock all the hope colours, request for orange has been phenominal, so we've rolled it out as an option across the range. You can have as much or as little as you like. 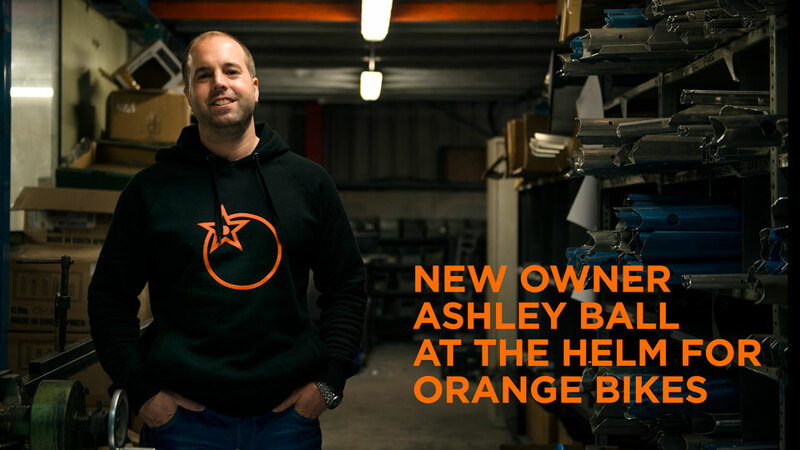 Effective from October 1st 2015, Halifax based Orange Mountain Bikes Limited changed ownership from its founding partners Lester Noble and Steve Wade to the new managing director Ashley Ball. 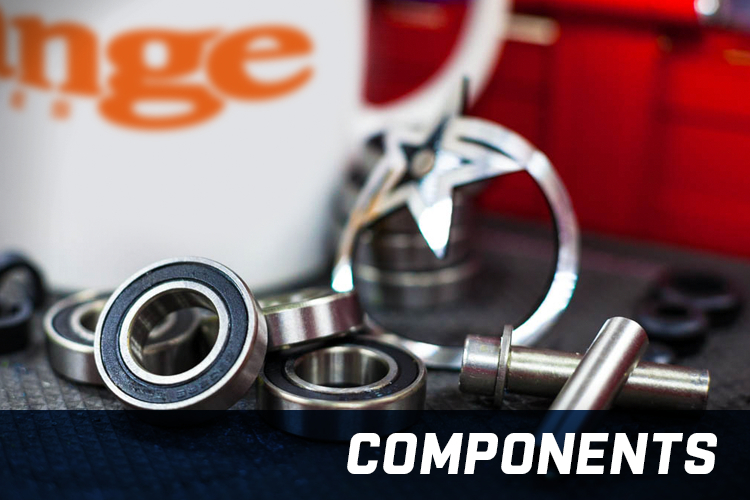 One of the things we are renowned for at Orange Bikes is our custom options. When you buy an Orange bike there's plenty of choice with colours and component specification. 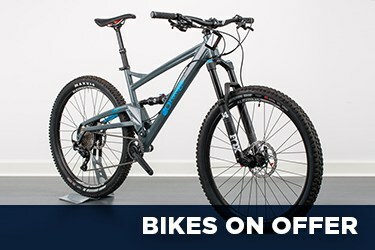 We're still giving you these choices, but for 2016 we think we've got a great line up of bikes at every level that will be great straight out of the box, with very little need for major component upgrades. We are absolutley gutted for our great friend and Orange rider Rowan Sorrell. After breaking his leg last year and making a spectacular recovery, yesterday he re-broke the same leg. Terrible news. Get well soon Rowan we're right behind you and wish you well. But Rowan wants something positive to come from his run of bad luck and to that end, Rowan is using this video as a chance to give young riders the chance to have his bikes on loan to race on for the whole season.